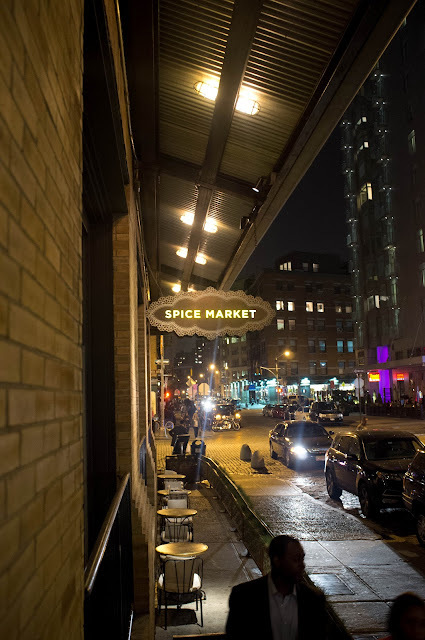 Found ourselves in MePa tonight after a Skillshare class and knew it was finally time for us to check out Spice Market. We walked in and I was immediately wowed by the ambience and decor. It was immediately evident why this restaurant has a lot of buzz. I felt transported to another place. We checked in with the hostess who ushered us downstairs to wait for our table. After about 20 minutes our wait was up and we were escorted back upstairs to a chef's table. 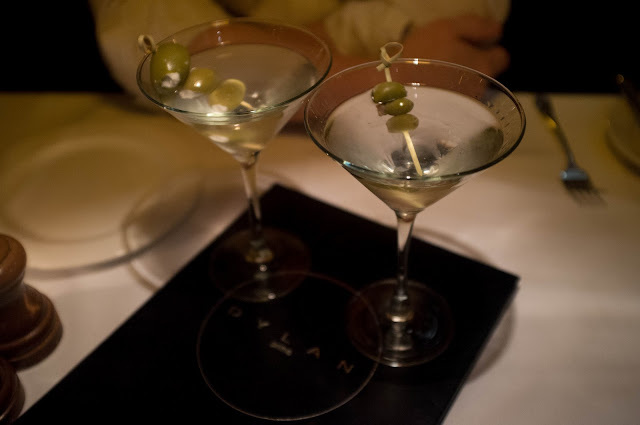 A couple months ago The Mr came home from a business dinner and was absolutely RAVING about Dylan Prime. Then I saw a Living Social deal and jumped on it since he really wanted to go back there. Today, The Mr got some good news, so we decided it was the perfect time to go celebrate. We were having a date night when we got an urge for dessert. Immediately, Chikalicious popped into my head, because I've been hearing great things about it for so long. We arrived on E 10th in the East Village and were immediately confused by the TWO Chikalicious locations across the street from one another. We quickly assessed that the Dessert Bar is a bit more upscale, an intimate bar seating environment perfect for a romantic date. 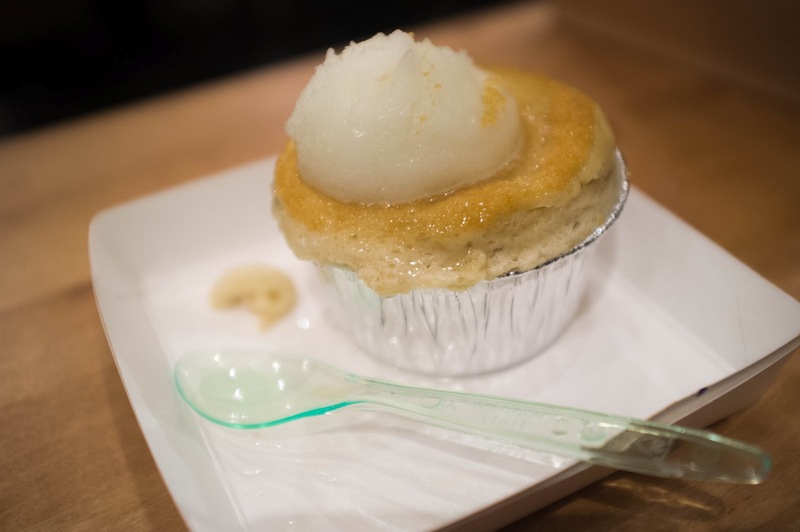 However, we really just wanted to grab a quick sweet snack, so the Dessert Club was more up our alley for this evening. One of our 2012 goals was to complete the "Todd English Trifecta". This is a completely made-up term that captures the fact that we have now eaten at all of his restaurants in NYC. Note that this is restricted to the island of Manhattan since his Bonfire restaurant is located in Terminals 2 & 7 of JFK. We only fly JetBlue (Terminal 5 baby), so it's safe to say we won't be making it to this location any time soon. But I digress. 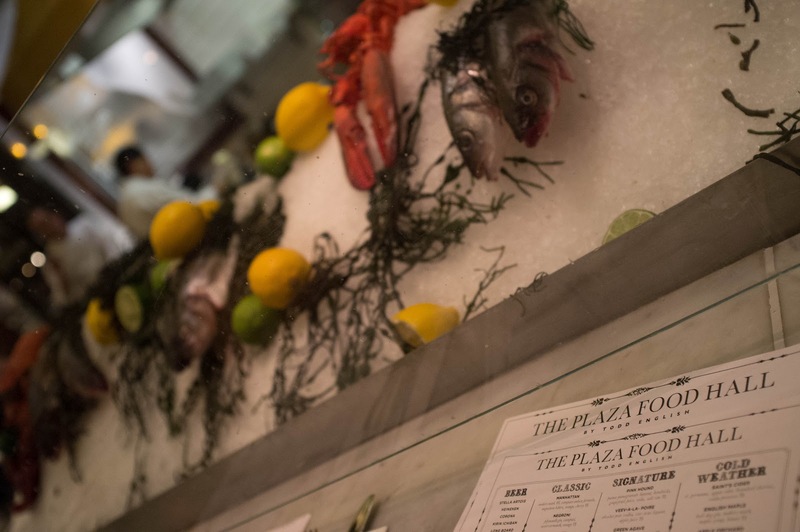 Tonight we dined at The Plaza Food Hall and we were totally delighted.